At ManTech, we value our interns. We ensure that each work experience matches the motivation and investment our interns make to secure an optimal education. Our summer technical internship program provides the education and experience needed to feel fulfilled. 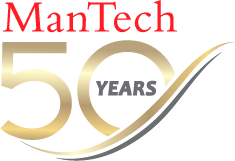 We connect you with hands-on technical knowledge and the chance to interact with ManTech’s leadership, offering a diverse range of opportunities to learn the full scope of our business. The program is a vital component of our goal to be the Employer of Choice within the government services and solutions industry. To achieve this mission, we offer our interns competitive compensation, benefits and our commitment for a meaningful internship endeavor.